What’s in my gym bag? I use to use a Nike backpack as my gym bag. 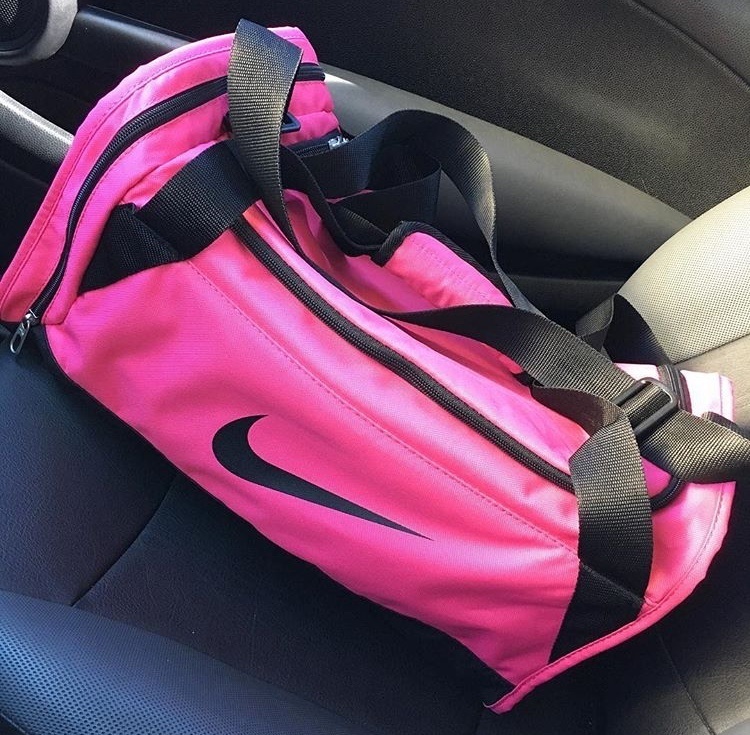 Now that I am more seasoned in the gym I upgraded to a Nike gym bag. Below is a list of the items that I carry in my gym bag. I also made a YouTube video showcasing everything. I will link it down below at the end of this post. Waist Trainer: I got this at the Fit Expo. I wear it when I do squats for extra back support. I also wear it when I do cardio, when I take it off my entire mid section is drenched in sweat. Ankle Strap: I used the ankle strap provided at the gym at first, but after seeing how many people used it, I got my own. I mainly use it for glute kickbacks. I found my ankle straps on amazon if your interested in getting them yourself. Gloves: To help grip the weights and also to avoid getting calluses on my hands when lifting. The gloves that I have are a size medium. They tend to run small. Waistband: I received this as a gift and its amazing. This is a belt that you wrap around your waist and it holds your phone while you workout. It has a pocket hole to plug your headphones in if you want to listen to music. There is a clear plastic in the front thatI found a similar one. Headphones: I use to only use my headphones to listen to music when I did cardio. I rarely listened to music when I lifted. It would distract me and I would forget what set and or how many reps I did. However, now that I am more season in the gym I use my headphones all the time. I’ll jam out to music and or watch YouTube videos. Body Spray: For when I have a long gym session where I worked up a big sweat. I will spray myself before I leave the gym. I use bath and body works, warm vanilla sugar body spray. Bar Pad: This is a new addition to my gym bag. They have some you can borrow from the front desk at the gym that I go to. But the velcro doesn’t stick anymore and they are really sweaty and gross. So I finally picked up my own. I use it when I do squats on the smith machine. I’ll link it here. Lip Balm: For when my lips are dry. I cant stand having chapped lips. I like using Burt’s Bees. Hair Ties: Once my hair tie broke on me and I didn’t have an extra. I promised myself I would carry more than one after that. Also for when I want to put my hair up in that obscene pineapple bun. I have really thick hair so it takes two hair ties to hold that bun in place. If you have any questions feel free to comment below. Don’t forget to “Like” this video and to “Subscribe” to my YouTube channel here so you can see the next video that I will be posting.